Your Opportunity To Become Part Of The Biggest Revolution The Fitness Industry Has Ever Seen! You’re not the only one recognizing this opportunity. And because of that, time is of the essence. As you read this, many others will be reading it as well. Will you be one of the leaders who take action? Facebook. The iPhone. Amazon.com. Starbucks. They all saw a market that was craving something. A better solution. A better experience. They provided it…and reaped the rewards. The youth fitness & sports performance market is craving better coaching. Better programming. A better solution. You can provide it…and you can reap the rewards. Over 1 million young athletes, children and teenagers hired a Personal Trainer in the United States last year. According to several reputable fitness industry trade publications, ‘Youth Fitness’ and ‘Youth Sports Performance’ are two of the fastest growing and most on demand segments of our entire industry. And the IYCA has spent the better part of the past 7 years locking in our name and reputation as the ‘go to organization’ for this demographic. Think that ‘brand recognition’ isn’t important? There is no other certification organization in the world that’s sole mission is to educate on the topics of youth fitness and youth sports performance. While other organizations may slap a ‘youth’ label on their adult based personal training credential to cash in on this incredibly fast growing market, the truth is this: as a Member of the International Youth Conditioning Association you will become a Specialist in the field of Youth Fitness. The subject matter expert on youth fitness and sports performance in your market. In fact, a Duke University study showed that in medicine a specialist will earn more than twice as much over their career as a generalist. This is your opportunity to be a Specialist. "The IYCA is changing the way we train our youth." A quote from Men’s Health Magazine. The IYCA has been recognized in USA Today, Newsweek, The New York Times and the Wall Street Journal. Our brand has been seen on ESPN, NBC, CBS, ABC and FOX. We’ve had our own book become an International Bestseller and become the go to resource for youth fitness for virtually every recognized brand in the fitness industry. Now, I’m not telling you all that to boast or impress you. I’m telling you so you understand and clearly see how vast and widespread the IYCA brand has become. If ANYONE has questions or wants to get involved in youth fitness or youth athletic development, guess whose phone rings? And that’s where the brand we have created works in your favor. And when parents, governing bodies or organizations are looking to hire the right person for the job related to youth fitness or athletic development training, it is our logo and credentials that have become the ‘Gold Standard’. The Train is Leaving… Are You Going To Be On It? What the IYCA has done is nothing short of revolutionary. And we’re going to continue to change everything about the entire youth fitness and youth sport training markets. You don’t have to be a genius to understand market trends or industry evolution. Over 1 million young athletes, children and teens hired a Personal Trainer last year in the United States alone. With the youth obesity crisis being what it is and the world of youth sports becoming increasingly competitive, you can guarantee that the ‘1 million’ number is going to go up and up. Major health club franchises are adding ‘Youth’ components to their service offerings. Sport performance businesses directed towards young athletes are popping up everywhere worldwide. …And your option is to be head of the change or sit back with a ‘wait and see’ approach. They both lead to specific destinations. Which direction do you want to travel? There are dozens of other Certification providers in our industry. Some are very good while others leave much to be desired. But there are none, other than the IYCA, who specifically have made it their mission to serve the youth fitness and sports performance market. Sure, a few have seen the vast opportunity and thrown together a quick credential just to ‘cash in’. Some have even gone so far as to try to mimic our Certification, right down to the name and packaging. But only the IYCA is dedicated to revolutionizing our industry and carving out a better path for our kids. In my opinion becoming a member of the IYCA has been the best decision I have ever made in the 20 years of my training career. The certifications that the IYCA offer have help me become a better coach and trainer to my young athletes. In my opinion every coach and trainer who works with children should be required to have the IYCA youth fitness certification. The IYCA Youth Fitness Specialist has helped my career tremendously. The concepts are very simple but it allows you to be creative in teaching the fundamentals of movement to specific age groups. This certification has helped my performance training business move in the right direction by helping the youth I teach. Before I became IYCA Youth Fitness Specialist Certified, I had earned a college degree in Kinesiology, with an emphasis in Physical Education, and I had earned a Masters degree in Exercise Science. I had also been teaching Physical Education for 12 years. The degrees I had earned had taught me a lot of book knowledge, and a lot about how to program exercise for adults. Along the way, I became guilty of creating "dumbed-down" fitness and performance programs for my students and athletes. For years, I had been treating them and creating exercise programs and coaching kids as if they were "little adults." 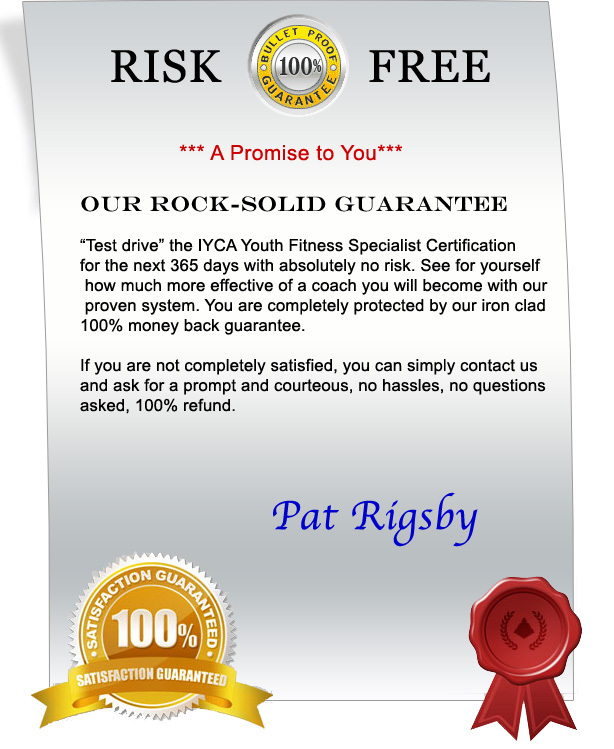 The IYCA Youth Fitness Specialist Certification revolutionized the way I now develop and implement fitness and performance programs for my youth population. I learned about the different physiological, neurological, and psychological changes that kids, youth, and teens go through and how those developmental changes play a role in designing fitness & performance programs for this population. Just as important, I also learned how one’s approach to coaching and cuing needs to differ for each developmental age group. Needless to say, earning the IYCA Youth Fitness Specialist Certification reinvigorated, re-energized and gave me a new vision for teaching and coaching youth. I can sum my experience with the IYCA’s Youth Fitness Specialist Certification with these three words: Believe, Become, and Belong. BELIEVE: The IYCA has restored my faith. There is an organization that truly cares about the products they produce as well as the quality of information they release into our profession. Prior to taking the Youth Fitness Specialist Certification, I hadn’t taken an educational course in eight years because of a lack faith in the established organizations and the poor quality of information they were circulating. The IYCA’s Youth Fitness Specialist Certification has been an invaluable resource for me and the families in our program. BECOME: The Youth Fitness Specialist Certification challenged every thing I thought I knew about youth and fitness conditioning. Once confronted by dependable, evidence-based information, I had to make a serious decision, continue doing what was comfortable or rethink my approach. I credit the IYCA’s YFS Certification as being the genesis for re-patterning my coaching belief system empowering me to become a high-level youth conditioning coach, developing and delivering sustainable systems within the youth training & conditioning population. BELONG: As an IYCA Youth Fitness Specialist, I feel like my business is positioned as an authority in my community to educate & serve the youth, parents & coaches with safe, sustainable, long-term training conditioning programs. Because of this certification, we belong in the youth fitness & conditioning business. The IYCA Youth Fitness Specialist Certification was absolutely fantastic. Bringing "PLAY" into training and sport specific training has helped my athletes perform better and with fewer injuries. The IYCA Youth Fitness Specialist Certification has allowed me to better understand the complexities of managing different ages of youth when training them and improved my confidence when dealing with coaches and parents with the assessment and management of their injuries. The IYCA Youth Fitness Specialist Certification has been a great experience for me. I had always been interested in working with younger kids and it has given me a great foundation. The ongoing training, support and information that the IYCA provides continue to help me grow and stay informed on how to do the best by my kids. This Certification has also allowed me to open another revenue stream for my existing business and the IYCA brand and Certification has given our program instant credibility. All to prepare you to complete your on-line randomized certification exam (75 questions) and become an IYCA Youth Fitness Specialist! How Can You Trust This Information Is What You Need? The IYCA Youth Fitness Specialist Certification has really changed the way I view working with and teaching children how to move. Like many fitness professionals, I once adopted the one size fits all approach to training, which does a huge disservice to our youth. I recently became the Head Strength & Conditioning Coach at a high school in northern Virginia and the knowledge I have gained from the IYCA definitely prepared me to succeed. 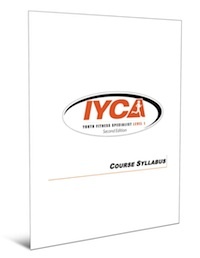 The IYCA Youth Fitness Specialist Level One Certification is definitely very special to me. This one certification has propelled my career in a positive direction. The Youth Fitness Specialist Certification has given me credibility among my peers, athletes and parents! I truly have a better understanding and have greater confidence when it comes to designing strength programs and or simply adding a dynamic warm-up to my U10 girls soccer practice! The biggest benefit has definitely been the ability to start my own business, TRAIN TO WIN. I now have a staff of 4 professionals working with me. Becoming a certified member of the IYCA Community has been an absolute positive choice for both my personal life and professional career! The IYCA Youth Fitness Specialist Certification brought me a lot more than expected. The main reason is that there is a good balance between theory and its application on the field. It fills the gap between theory and practice. 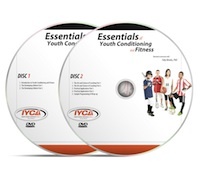 …and The IYCA Youth Fitness Specialist Certification is the Resource is Your Key to Being Part of It! 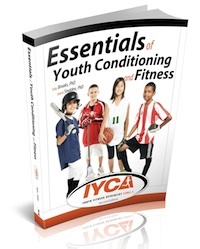 "As a youth fitness coach and child therapist, the IYCA level 1 youth fitness certification was an excellent basis for understanding child development and programming. The content provided is easy to understand and provides examples in developing programming for young athletes, which I have been able to incorporate in various environments. I always refer back to the course materials when developing individual programming, team programming as well as game play in working with children in a therapeutic environment. When working in the youth fitness industry, a personal training certification in not adequate for understanding child development and programming. Level 1 will give you a general basis for not only developing elite athletes, but speaks to all fitness abilities. I’ve had huge success with applying IYCA principles and game play when working with troubled kids. Positive impacts are observed on both physical and emotional development in young athletes. I would highly recommend this certification for anyone currently working with children and adolescents as well as anyone wanting to become actively involved in the youth fitness industry."